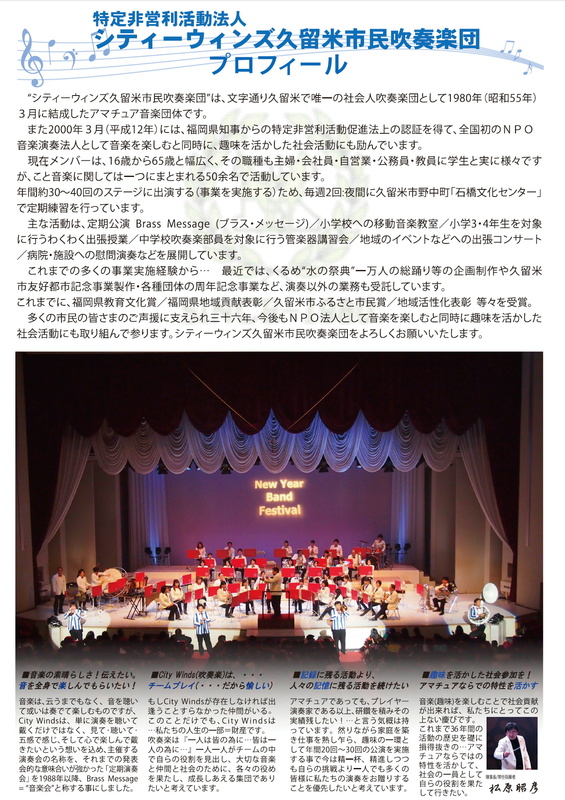 (C)14.April,2016 City Winds Orchestra of KURUME ... That is the Non Profit Organization which was certified by Fukuoka prefectural governor. ... of Kurume City Winds Orchestra. That is the Non Profit Organization which was certified by Fukuoka prefectural governor.